Charles W. Morris, Sr., age 82 of Star Junction, passed away on February 2, 2019 at the Harmon House Care Center, Mt. Pleasant, Pa. He was born on May 26, 1936 in Star Junction a son of James Oscar and Sophia V. Williams Morris. 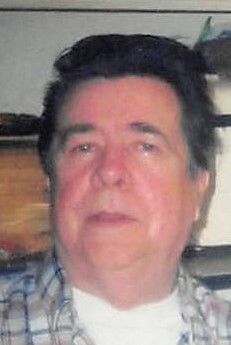 In addition to his parents he was preceded in death by his wife, Helen Vaji Morris (2010); son, Mark Morris (2018); granddaughters: Melonie Goldbaugh and Alicia Goldbaugh; brother, James Homer Morris; sisters: Fannie Vairus, Terry Vestrate, Joy Bryner, Delores Stephens and June Sember. Charles is survived by a son, Charles W. Morris, Jr of Uniontown; daughters: Debbie Fisher and her husband Dan of Star Junction, Donna Koschak and her husband Michael of West Newton, Darla Duda of Greensburg; sisters: Midge Patterson, Carol Sethman, Stella Shosky; 8 grandchildren; 12 great grandchildren; many nieces and nephews. Charles’ family will receive friends from Noon until 4 p.m. on Tuesday, February 5, 2019 in the Blair-Lowther Funeral Home, 305 Rear Independence Street, Perryopolis, PA. A funeral service will take place at 4 p.m. Interment is private.